Polaroid cameras still exist. You know, the old cameras that gave you instant prints. Well, sort of instant. Now they’re new again, recreated by Polaroid, and they cost about $100. Fuji Film has also recreated the instant camera, small and looking quite different, and for about half the price. As you might expect when a product is cheaper and better, it is selling strongly. In fact, it is the best-selling camera at Amazon.com. What is the point of all this when you can take a snapshot with a smartphone and have it instantly posted to web sites around the world? Well, the instant photo prints from one of these camera are private. That is to say, they come sliding out of the camera and there is only one. It seems like a small advantage, if indeed it is an advantage at all, but it appeals to enough people to make the Fuji Instax, Mini 8, camera a best seller. It can be the focus (sorry about that) at parties. Joy had the idea of taking individual photos and sticking them on the foreheads of party guests to see if they could guess who they were stuck with by asking others for clues. We took one of the new “Polaroid Snap” cameras to a party and quickly learned that any games could be ruled out since it took several minutes to prepare and print each picture. Pretty boring. The prints have adhesive backs and can be stuck on a refrigerator or a child’s toy or a student’s school books for identification. Maybe they could be used to make fake IDs. Joy liked the poor resolution on the Polaroid Snap because it made her look younger; no wrinkles show at this level. The newer model, the Snap Touch, has a higher resolution and a viewer, so you can preview the picture before you take it. Polaroid Snap photo paper costs $13 for a 20-pack. Fuji film packs cost about the same, depending on whether you buy them in three packs or five packs at a time. The newest Snap Touch camera, however, can also act as a printer: you can send your smartphone photos to it. By next year, 75 percent of all web browsing will take place on smartphones and tablets, according to media buying agency Zenith. That’s only a slight increase from this year’s 71 percent, so that’s the way things are going, folks. By 2018, Zenith predicts, mobile advertising will hit $134 billion, more than newspapers, magazines and outdoor advertising combined. EEK! Of course, as Will Rogers liked to point out: It’s always risky to make predictions, especially about the future. When you’re watching a video on your phone, look along the bottom for a tiny square with some curved lines in the corner. Tap on it and whatever you’re watching on your phone will be transferred to your TV via the Roku stick. This is what Google’s “Chromecast,” a similar stick, became known for. A free Roku app for your phone or tablet makes things even easier. Instead of using Roku’s included remote control, you can use your phone. If you search for a movie or a movie star on the remote, it’s a bit clumsy; you have to tap letters one at a time on a keyboard display on your TV screen. With the phone, you can speak the name into the microphone. We said “Vin Diesel,” and got a dozen of his movies to rent or buy. We next said “Café Society,” a new movie from Woody Allen, and were prompted to add the “FlixFling” channel and rent the movie in high definition for $6. We first had to create an account at FlixFling.com. This is a bit tricky. A big ad asks you to start your free trial by adding a credit card. If you forget to cancel, they’ll ding you. But if you click “no thanks,” and then click “on demand” movies, they’ll ask for a credit card but won’t charge it unless you order a movie. Having done all that, we got the movie. For some reason, casting movies from the computers in our office to the TV in our living room, didn’t work well. When we tapped the “cast” icon on a YouTube video, YouTube showed up on our TV, but not the video we were watching. When we used our phones or tablets, it worked fine. A reader wrote to tell us that her friend uses a password program she loves, called “LastPass.” She didn’t feel comfortable using it and wondered what we thought. We’re uncomfortable too. In the last few years, we’ve seen at least two reports of software vulnerabilities in LastPass. The most recent occurred this summer. LastPass gives you one master password that unlocks all of your accounts. We don’t know how the bad guys break in, but why should you have to worry about it all? 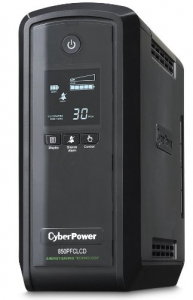 Out of the blue, CyberPower sent us an uninterruptable power supply, the $110 CyberPower Mini Tower. It’s heavy, and there it sits, unused for now. That’s a very insightful article. Thanks for sharing.